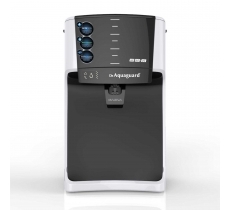 It's important to make an informed decision when choosing the right water purifier. The quality of water that we drink has a direct impact on our health and the health of our loved ones. However, with the number of options available, it can often seem like a daunting task. Several believe that every purifier does its job in the same way. But we know that isn’t true. Different water conditions require different purification technologies. Your water type depends on whether your water is supplied from borewells, municipal corporations, or a mixture of both. This largely differs from area to area, home to home. Total Dissolved Solids (TDS) refers to the presence of salts, minerals and metals in your water. The higher your water’s TDS levels are, the harder your water will be. What's the simplest way to find out the right purification technology in your water? Visit www.eurekaforbes.com and enter your pin code and other details in the Water Doctor app. This app then tells you the best purifier for your home based on where you live and the kind of water present in the area. So, which water purifier do I choose? RO purifiers are best suited for homes using borewell water, with high TDS levels. Homes with municipality water supplied from lakes and rivers should opt for UV water purifiers that make your water as safe as water boiled for over 20 minutes! Several homes receive water from multiple water sources. 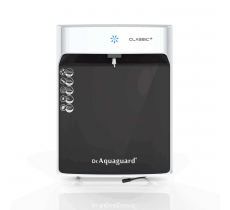 Dr. Aquaguard and Aquaguard have a range of purifiers that use both RO and UV technology to purify the water in such conditions. If you're confused about the water type in your home, request a free home demo. Eureka Forbes water specialists conduct a water check before prescribing the best water purifier for your household.